On 28 November 2013 the European Commission brought out its proposal for a Directive on the protection of undisclosed know-how and business information (trade secrets) against their unlawful acquisition, use and disclosure. The proposal results from a public consultation and an external study carried out at the end of 2012 and during 2013 in connection with the relevance and protection of trade secrets in the European Union and is made within the framework of the global strategy adopted by the Commission aimed at optimising the internal IP market. 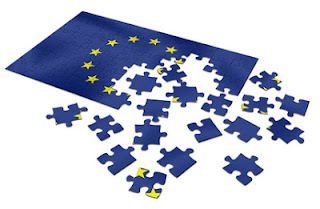 Through the external study the Internal Market and Services Directorate General of the European Commission had noted the marked differences existing between the Member States with respect to the legal protection of trade secrets and to the measures available to the holders thereof in the event of unlawful acquisition, use and disclosure. For this reason the Commission has drawn up this proposal for a Directive, within the general context of the harmonization of IP and related rights in the EU, with a view to making the legal protection of trade secrets more effective. The proposal begins with a definition of trade secrets taken word for word from article 39.2 of the TRIPS Agreement. It then sets out the circumstances in which the acquisition, use and disclosure of a trade secret is unlawful, where the key element is the absence of consent of the trade secret holder. The proposal similarly makes reference to the circumstances in which such acquisition, use and disclosure is considered lawful. These include independent discovery and reverse engineering. The proposal then establishes the measures, procedures and remedies that should be introduced in the laws of the Member States for the protection of trade secrets. The system of protection thus envisaged is similar to that relating to IP rights and provision is consequently made for the adoption of interim and precautionary measures and for the subsequent implementation of final measures resulting from the decision on the merits of the case, such as an order for cessation or prohibition of the use or disclosure of the trade secret and the removal from the marketplace and destruction of the infringing goods. It is likewise established that damages may be awarded to the holder for the detriment caused, that these may be calculated on the basis of hypothetical royalties, and that the judgment may be published. Lastly, provision is made for the imposition of sanctions in the event of non-compliance with any provisional or final measure adopted and reference is specifically made in this regard to recurring penalty payments. The proposal introduces some procedural rules, such as the implementation of mechanisms to preserve the confidentiality of trade secrets disclosed in court for the purpose of litigation and the setting of a time limit of two years for bringing actions for the infringement of trade secrets, which will, when the time comes, require the amendment of the laws in Spain. It will also be necessary to include measures aimed at avoiding abuses of litigation. In accordance with the ordinary legislative procedure, the proposal will now be referred to the Council and to the European Parliament prior to its approval, which the Commission expects will take place before the end of 2014. There will subsequently be a term of two years for transposition into the national laws of the Member States.